As a business owner, you’ve worked hard to build your business. But what about the day when you might want to walk away from it all? Business transition planning is perhaps one of the most complex tasks a business owner will encounter. Many owners have a substantial portion of their family wealth invested in the business, a complexity that requires broader financial planning strategies to address retirement and estate planning needs. If you lack a comprehensive plan to pass on your business, now is the time to give serious thought to a formal business transition plan. A well-crafted transition plan identifies a long-term strategy that can inform short-term decisions. When the time comes to sell a business, many deals collapse during the buyer’s due diligence when problems come to light. So, start cleaning things up before it becomes an issue for a buyer. As you look to improve the value of your business, think about what factors a prospective buyer will place the most value on. What will drive value for a buyer in the future? Will the business continue to operate effectively and grow if you are no longer at the helm? What roadblocks should be addressed now, instead of closer to the sale? Reducing business risk is a top priority in a proactive transition strategy. 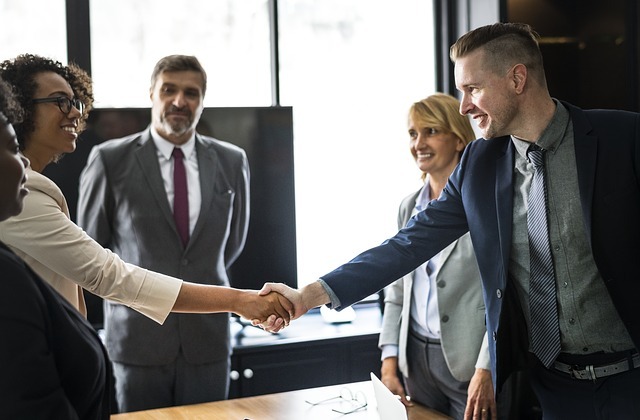 When your business is perceived as a solid opportunity, it may create a competitive buyer environment, increase value, improve negotiation and deal terms, and minimize the time to close the sale. Here are eight action steps to help get your business market-ready. 1. Get your business documentation in order. Start by making sure all your business operation and process documentation is up to date. Formalize and extend key customer and vendor contracts and confirm that well-documented processes and procedures are in place. 2. Organize your financial statements. Make sure your financial record keeping and reporting are transparent and easy to evaluate. As you think about making your business more professional, look for clear lines of separation between personal and business expenses. 3. Develop formal strategic plans. Start with your business’ core competencies. What is your long-term vision? What is your strategy to diversify your customer base? How will you continue to grow and expand? Have a strategic plan for each key area of your business, such as sales, marketing, operations, technology, finance and legal. Know how your business is valued in your industry and look to boost the key metrics. 4. Create business succession and contingency plans. Prepare formal succession plans and communicate them to your leadership team. Decisions around who takes over and how can be essential to the survival of your business. 5. See that legal records are in good order. Are your legal contracts in order? Are your employee procedures and agreements solid, with a change in control in place? Are there any environmental, compliance or regulatory issues that need your attention? Is there a chance to extend lease agreements or take a closer look at real estate holdings? Is your intellectual property adequately protected? 6. Secure your leadership team. Be certain you have a leadership team that is ready for a smooth transition when the time comes. The next owner of your business will look for a strong leadership team that will stay with the business through the transition period or longer. 7. Consider a formal board of directors with outside members. Establish an advisory council or a formal board of directors. Look to include outside members who own or have owned successful private companies. 8. Minimize your business’s reliance on you. Many business owners are justifiably proud to be the leading driver of sales and revenue. However, to truly drive a growth strategy, you need to make the business less reliant on you. Each business is different and preparing for a transition is a complex process. Start thinking about how you can maximize the value of your business today. Alex Howell is an advisor with UBS Financial Services serving the Newport-San Diego Market.